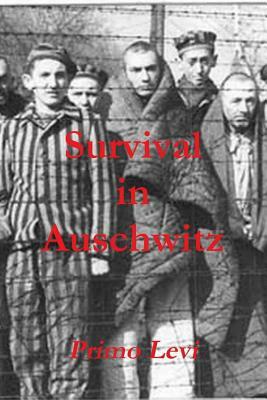 Survival in Auschwitz: If This Is a Man is a book written by the Italian author, Primo Levi. It describes his experiences in the concentration camp at Auschwitz during the Second World War. Levi, then a 25-year-old chemist, spent 10 months in Auschwitz before the camp was liberated by the Red Army. Of the 650 Italian Jews in his shipment, Levi was one of only twenty who left the camps alive. The average life expectancy of a new entrant was three months. This truly amazing story offers a revealing glimpse into the realities of the Holocaust and its effects on our world.